Ronan O’Gara is a former Rugby Union player who played at fly-half for Ireland and Munster. O’Gara made his debut with Munster in 1997 and with the Ireland National Rugby Union team in 2000. Following retirement as a player from rugby in 2013 he embarked on a successful coaching career. 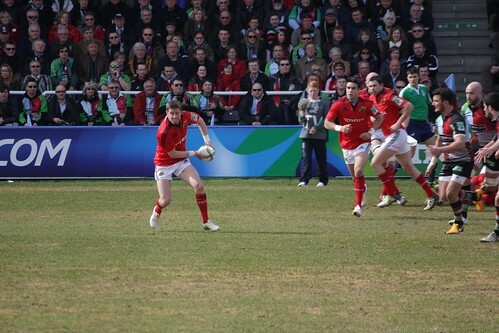 Ronan O’Gara was born Ronan John Ross O’Gara in San Diego, California in 1977. His family returned to Ireland and settled in Cork when O’Gara was still an infant. He was educated at of Presentation Brothers College, Cork where the college sport is Rugby Union. He later studied at University College Cork, graduating with a master’s degree in Business in 1999. O’Gara made his debut with Munster in August 1997. During his 16 years with the club he made 240 appearances and scored 2,625 points. 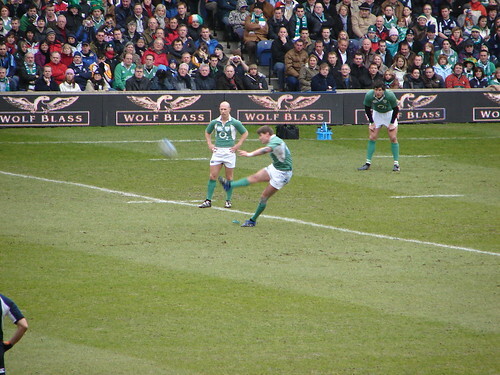 Ronan O’Gara was capped 128 times for Ireland. He played his first international game for Ireland against Scotland in February 2000 in the Six Nations Championship. He was a member of the 2009 Irish team that won Ireland’s first Grand Slam since 1948. He was also the winner of two Heineken Cups with Munster and four Triple Crowns with Ireland. He now coaches the Super Rugby team Crusaders in Christchurch, New Zealand. Ronan O’Gara, Irish rugby player and one of the most capped players in Rugby Union history was born in the year 1977 On This Day. 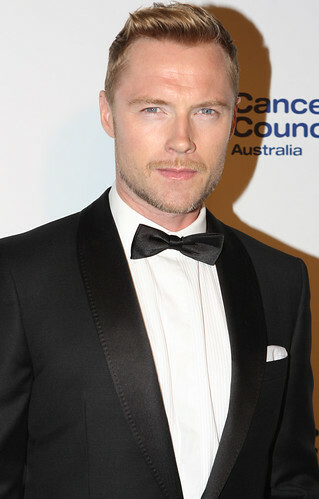 Ronan Keating is a singer and musician who is a native of Dublin. He began his career as lead singer with the band Boyzone. Keating also has a successful solo career. He is involved in charitable activities, especially the Marie Keating Foundation. Ronan Patrick John Keating was born in Swords, Co Dublin in 1977. As a youth he was a successful athlete. He was chosen as a member of Boyzone in 1994. The group sold over 27 million records before disbanding in 2000. Keating began his solo career when he recorded ‘When You Say Nothing At All’ for the film Notting Hill in 1999. The song reached number one in several countries. Keating has sold over 20 million records as a solo performer. He continues to perform and has been involved in other activities such as acting as a member of the judging panel on the X Factor on Australian TV. Ronan Keating was born in the year 1977 On This Day. Lisa Burke, who is a native of Killeshin near Carlow town, Ireland was weather and science presenter for Sky News from 2000 to 2010. Lisa graduated with a Masters Degree in 1999. She postponed studying for her PhD when offered the post as first science reporter for Sky. Lisa Burke was educated at Killeshin National School until her family moved to Ilford, Essex in England when she was ten years old. Having completed her second level education in Essex she got a place at Murray Edwards College to study Natural Sciences. Murray Edwards College is a women-only constituent college of the University of Cambridge which was founded as “New Hall” in 1954. She graduated with a first class Masters Degree in 1999. She won two university prizes and was made a scholar of New Hall. She intended to study for a PhD and took some time out to work in the pharmaceutical industry. It was during this time, in October 2000 that Lisa Burke was offered a post with Sky News as a weather presenter. She was voted ‘sexiest weather girl of all time’ a year later in a poll of 1,000 men. She also worked on other Sky channels such as Sky News, Sky Sports News and Sky Learning. Lisa has also worked on RTE on programmes such as No Frontiers, The Restaurant and Brides of Franc. Having left Sky News Lisa and her family moved to Abu Dhabi in 2010 where her husband Adrian Wells had been appointed launch director of Sky News Arabia. She began to write articles for the weekend magazine of the ‘The National’ newspaper whilst resident in Abu Dhabi. Lisa, whose father was Pipe Major of the Killeshin Pipe Band has a passion for music and plays piano, violin, tin whistle and piano accordion. Whilst at Cambridge she sang with Cambridge University Choir and has performed with the BBC Symphony Chorus for many years. She is a keen advocate for science, has written and published four science books for children and created the idea of ‘Mini Scientists’. Lisa Burke was born in the year 1977 On This Day. Apple Computer Inc. which was founded on April 1st 1976 is now known as Apple Inc. It was founded by Steve Jobs, Steve Wozniak, and Ronald Wayne. However Wayne sold his share of the company to Jobs and Wozniak for $800 before the company was incorporated in January 1977. Apple Inc., which was first based in the garage of Steve Jobs parents’ home, has its headquarters in Cupertino, California, USA. 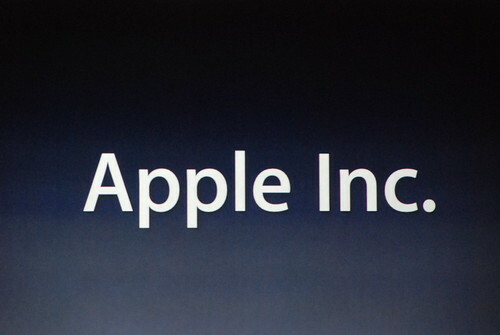 Apple is now one of the largest information technology companies in the world. It employs over 80,000 people in 15 countries around the world. The company manufactures hardware products such as the Mac and the iPhone and software products such as the iOS operating systems and the iTunes media browser. Steve Jobs came to Ireland in December 1980 when Apple announced that it was to establish a facility to manufacture Apple Computers in Cork city. Today the company has over 4,000 employees in Ireland. Apple recently announced an investment of €850 million in the establishment of a data centre in Athenry in County Galway. Apple Computer Inc. was incorporated in the year 1977 On This Day. Peter Stringer is a Rugby Union player who is a native of Cork, Ireland. He plays at Scrum-half. Stringer made his debut with Munster in 1998. 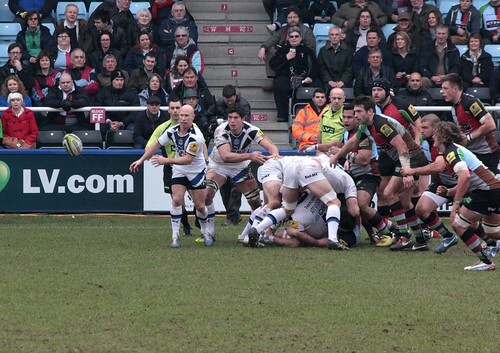 He continues to play rugby and in February 2016, signed a one year contract with Sale Sharks. Peter Alexander Stringer was born in Cork in 1977. He was educated at of Presentation Brothers College, Cork where the college sport is Rugby Union. Stringer made his debut with Munster on October 3rd 1998. During his 15 years with the club he made 230 appearances. Since 2013 he has played with Bath and Sale Sharks. Peter Stringer has been capped 98 times for Ireland. He played his first International game for Ireland against Scotland in February 2000 in the Six Nations Championship. 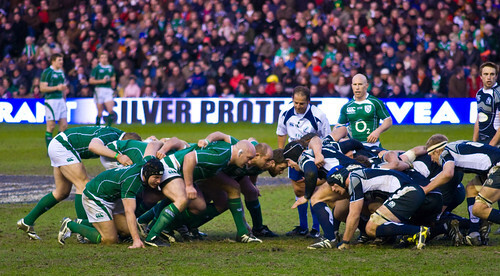 Stringer was a member of the 2009 Irish team that won Ireland’s first Grand Slam since 1948. He was also the winner of two Heineken Cups with Munster and three Triple Crowns with Ireland. Peter Stringer was born in Cork in the year 1977 On This Day.